As his town is flooded by water, an old man is forced to add additional levels onto his home with bricks (cubes) in order to stay dry. But when he accidentally drops his favorite smoking pipe into the lower levels of his home, his search for the pipe eventually makes him relive scenes from his eventful life. 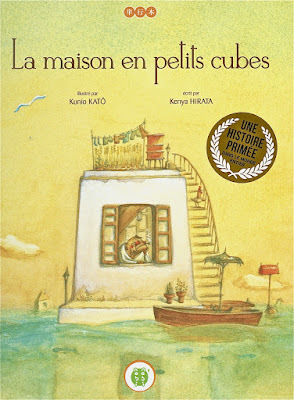 La Maison en Petits Cubes is a 2008 Japanese animated short subject film created by Kunio Katō, To save his house from rising flood waters, an old man uses bricks to build it higher, then he relives events from his past while searching for his dropped pipe. The House of Small Cubes.